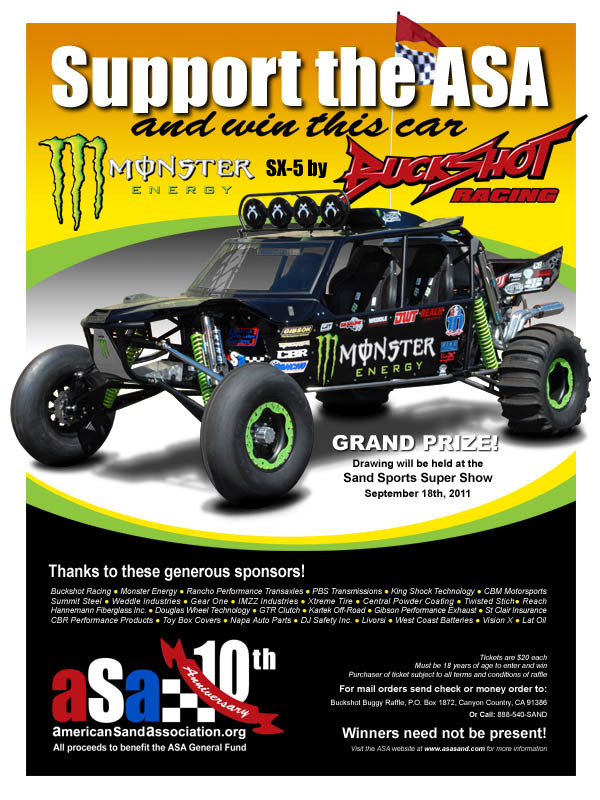 Support the ASA and win a brand new Monster Energy SX-5 by Buckshot Racing. Make sure to get your raffle ticket for this awesome Buckshot Racing Sand Car. Tickets are $20 each and all proceeds benefit the ASA general fund. Must be 18yrs or older to enter and win. The drawing will be held at the Sand Sports Super Show on September 18th, 2011. Winners do not need to be present to win.